Game #29/Game #30 Nats wrap-up the Grapefruit League today with split-squad action! 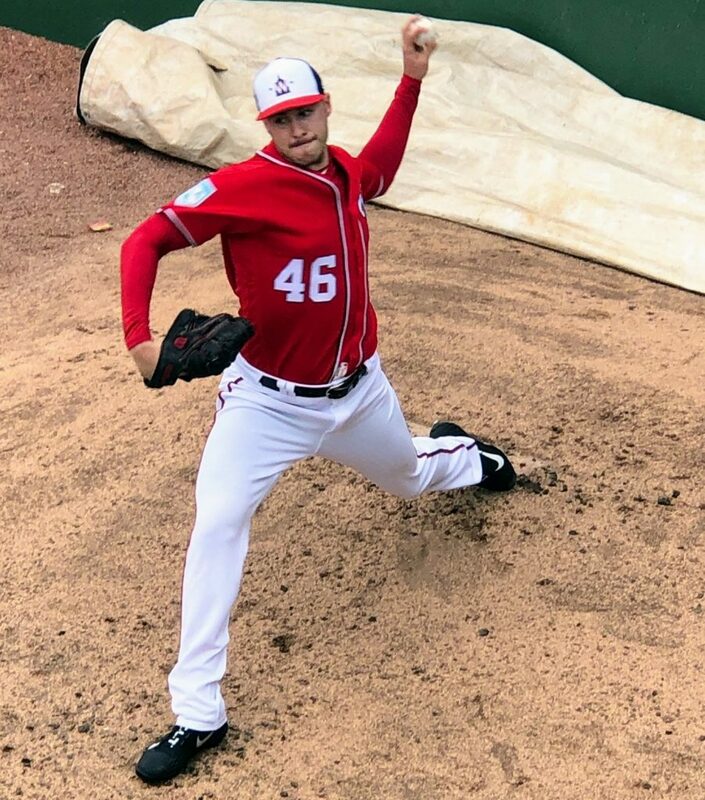 Yesterday the Nationals optioned Joe Ross to Triple-A Fresno, but today he will start the 29th game of the Grapefruit League schedule against the New York Mets in Port St. Lucie at 12:10 p.m. then 55 minutes later in split-squad action Patrick Corbin will start for the Nats in the FITTEAM Ballpark of the Palm Beaches as the visiting team against the Astros in what is the 30th and final game of this year’s Grapefruit League schedule. After these games conclude and the players assemble at the FITTEAM complex, there will be over 30 players who will board buses to head to the West Palm Beach airport as the team will fly back to Washington, D.C. for an exhibition game on Monday at Nationals Park against the New York Yankees. With all of the cuts yesterday, there is a little more clarity on the final roster, but general manager Mike Rizzo has not fully revealed what he plans on doing with Joe Ross in the future. Will he continue as a starter if needed by the Nationals or will he work out of the bullpen? Ross, who is on an innings limit, returned at the end of last season from UCL reconstruction in his right throwing elbow. There will also be some questions as to how Jeremy Hellickson will be used early in the season given all the off-days on the schedule. Hellickson will most likely stay behind initially in Florida to start a game in what is called extended Spring Training. Could Helly work out of the bullpen to start the season until he is needed as the 5th starter? We will have to wait for the answers on both Ross and Hellickson. The other players to watch are Howie Kendrick, Michael Taylor, and Tony Sipp who have not been seen on the Major League fields in a while. Kendrick and Taylor are working themselves back from lower body injuries while Sipp who was signed late in camp has been pitching on the Minor League side of camp. All indications are that Sipp will be the 6th pitcher in the Nationals bullpen while Kendrick and Taylor are expected to begin the season on the 10-day IL. Yesterday, the manager told the assembled media that he was going with Adam Eaton leading off with Trea Turner batting second. After running the numbers of Eaton-Turner as the 1-2 at the top of the line-up there was a statistical advantage last season as the team scored an average of 5.24 runs in those 54 games configured that way compared to any other combination was nearly ¾ of a run per game less. With the Nationals 18-24 W/L record in one-run games last season, you can statistically understand why the analytics favor the Eaton-Turner combination to add runs to the board. Remember all of the talk of 75-80 steal attempts for Trea Turner? Well, Davey Martinez does not want Trea to be deterred from attempting steals even with the big RBI men (Anthony Rendon and Juan Soto) hitting behind him. Now you are up-to-date on the line-up construction for Opening Day.